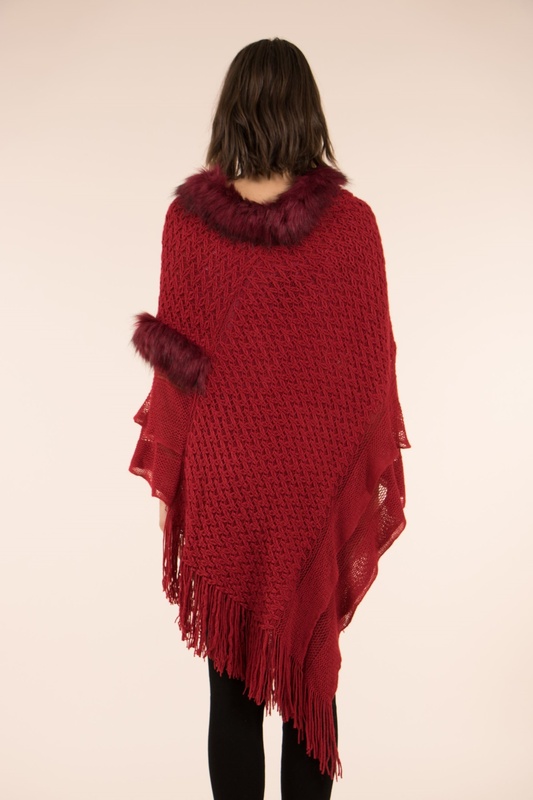 Add a luxe layer to your collection with this stunning faux fur trim poncho. 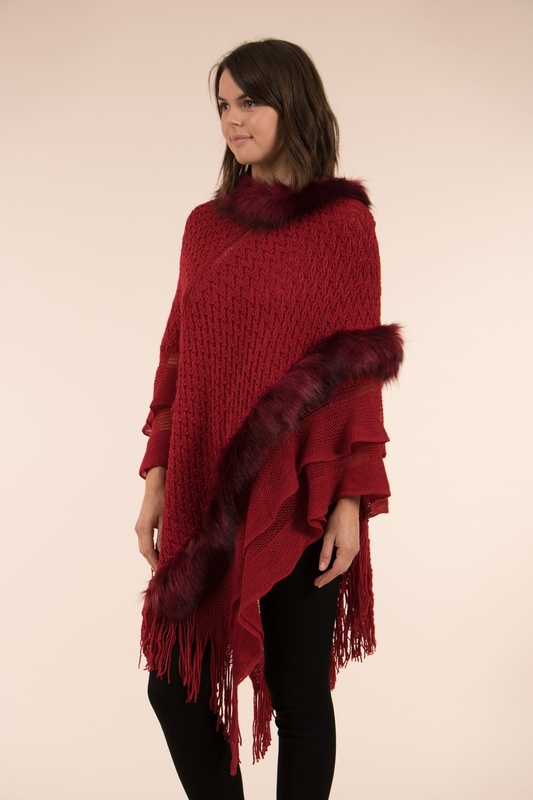 With a waterfall front and roll neck, it is finished with a faux fur trim. Layer over a LBD this party season.